Thirty-five miles north of the infamous Area 51, hordes of bizarre creatures converge to offer themselves to the skies. 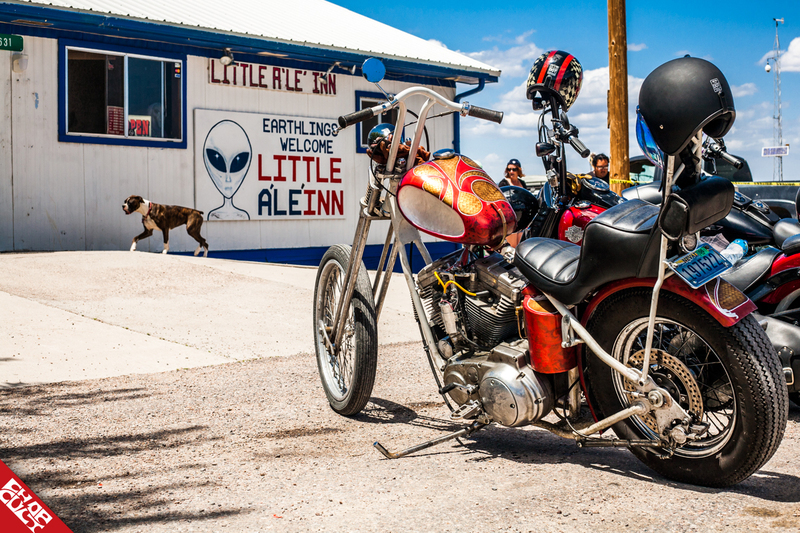 Once a year, they make the journey in from all directions, on two-wheeled death traps, in an effort to lure down alien beings. The Little A'Le'Inn provides the location for this congress of brutes to experience interstellar probings and extraterrestrial occurrences. Upon your arrival, you may find yourself asking, "What have I gotten myself into?" Future Alien Run attendees be warned! 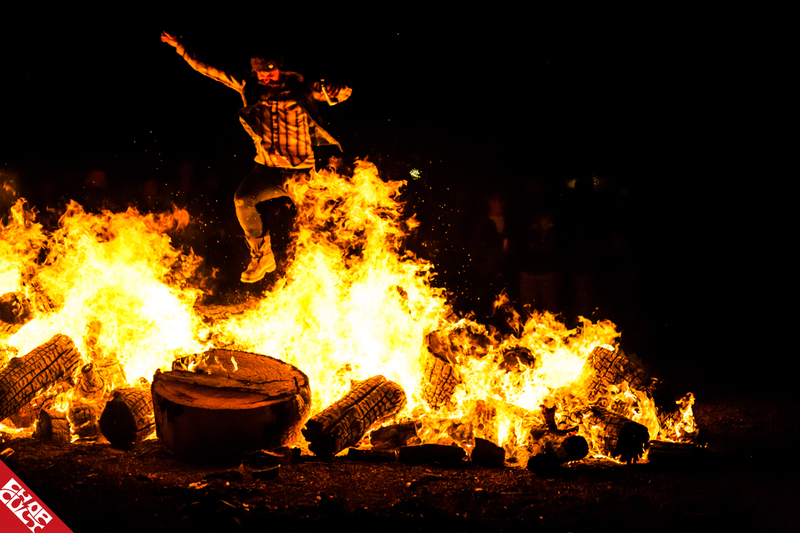 Prepare yourself for a truly good time that no other earthly party has to offer. 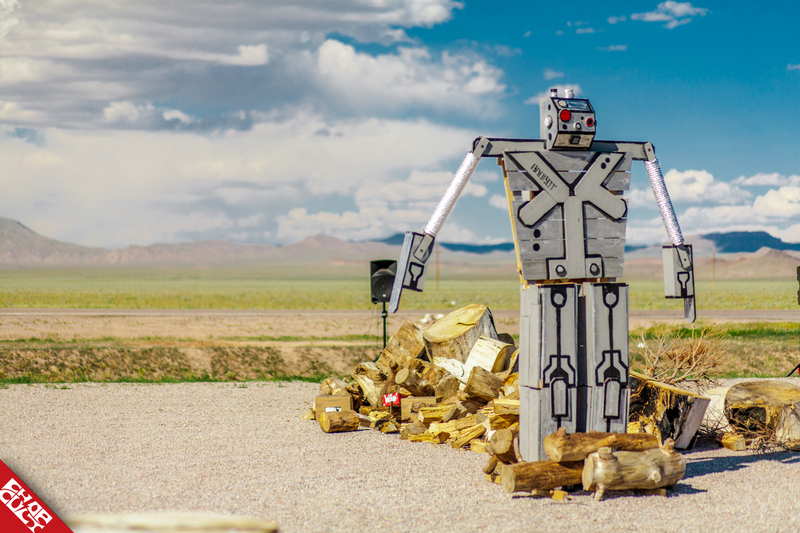 The sacrificing of a giant wooden robot, aptly named 'The Brobot', and brain-melting fireworks were just a couple of the far-out sights at this year's Alien Run. This was my first year in attendance and what a year to be present. The birth of this one-of-a-kind run began as a small, alien-themed, party thrown by Reno local, Asa Buchanan, and his crew. Brent Gonzales and the Vegas crew came on-board as sponsors in 2011, before the event was dropped the following year. Brent eventually brought the Alien Run back to life in 2015. As anyone who has ever organized an event knows, it is a huge commitment and a labor love. So this year, Allen Hayden (Lady Hump) joined forces with Brent to help make it the best Alien Run to date. These events would not be possible if not for the generosity of the sponsors. The Busch brothers, of Busch and Busch Handcrafted, have been involved as sponsors since the beginning and the incredible fireworks are supplied by Shannon Aikau, of Aikau Built. A huge thanks should be given by all to Connie West, the owner of the Little A'Le'Inn, for being such a gracious host. When I asked Brent if he had anything to say about the Alien Run, he wanted to express that this is a people's party. The people make it what it is, and Allen and he merely organize it. I can attest to this. The people that came out were amazing and I left with many new friends, who I cannot wait to see again next year. Be sure to follow @alienbuilt / #alienrun for updates! Hey hey! Lookie there .... my amateur paint job made front and center. Woot Woot! Nice paint job. Where did you get the indented tank from? Well worth the 2k mile trip . Thanks to Brent an Allen an everyone involved . Great concept for an event. Really. AlienRun may you "Live Long & Prosper." Big thanks to Nick for the feature and to everyone that commented. It's refreshing to see positive feedback. Have a great day.